The 3,600m2 space fitout, over two levels creates a productive, professional but fun environment. As a predominately sales orientated office the design of the space does not feel like a typical ‘tech’ space, but is an interactive opportunity. BSE provided electrical, mechanical, fire and hydraulic services for the exciting space. The team worked with the appointed designers to critically assess the relative merits of the existing fitout and re-use as much as appropriate. 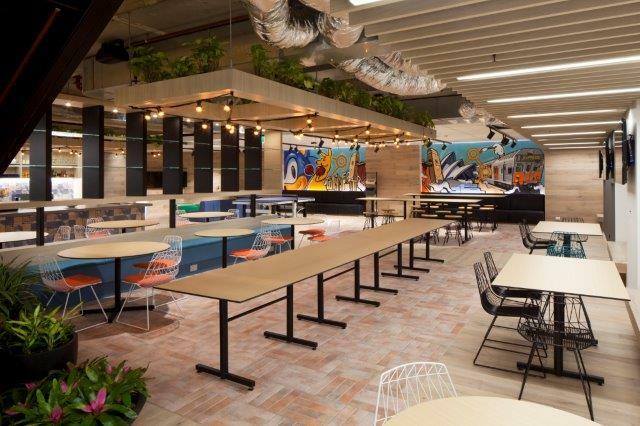 The design was conducted respectfully of the existing building and took advantage of as much base build and existing fitout services as possible. BSE completed a functional and exciting sales space for Linkedin.